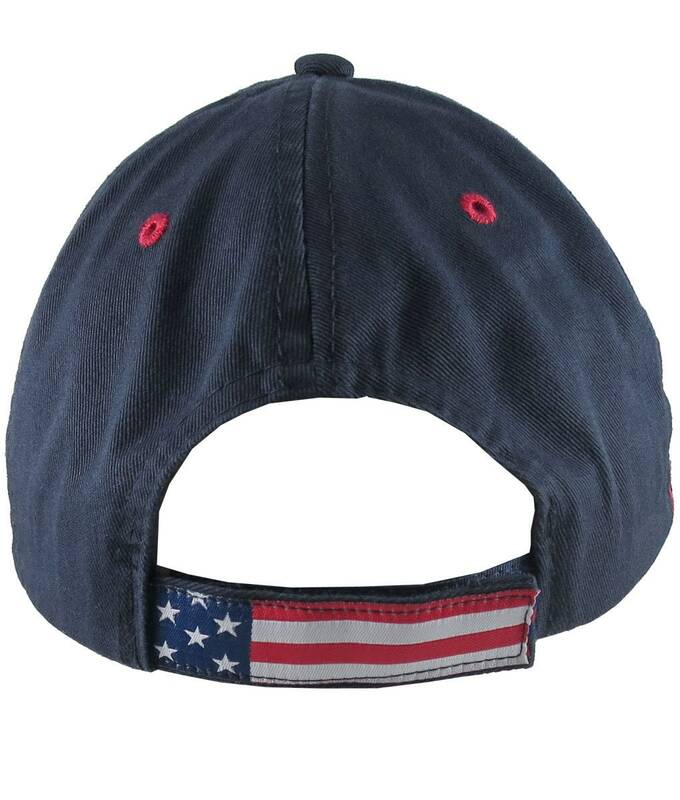 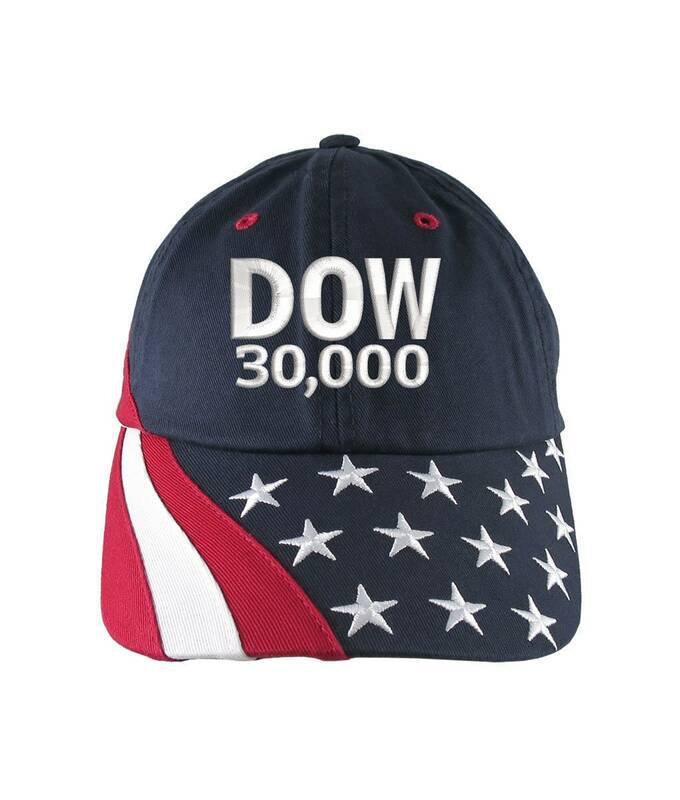 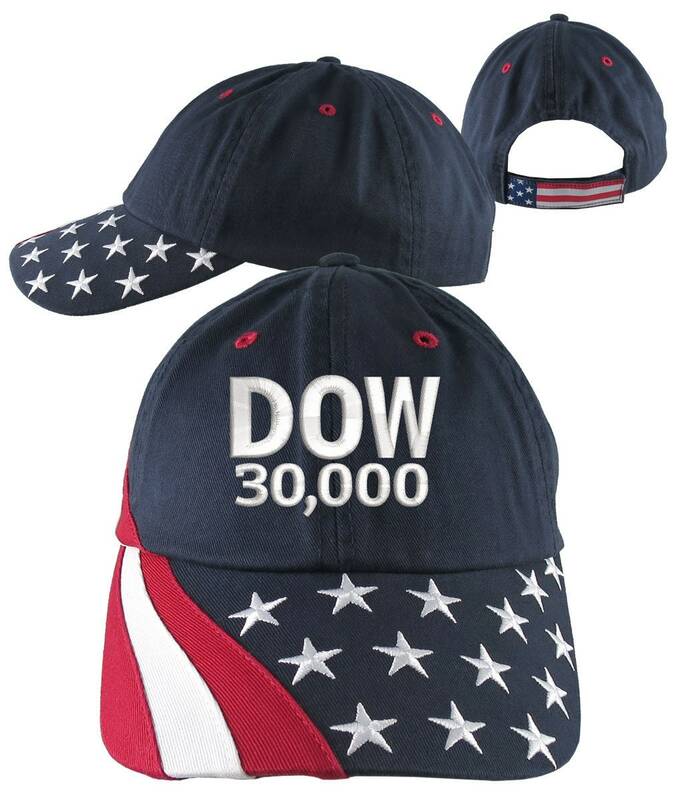 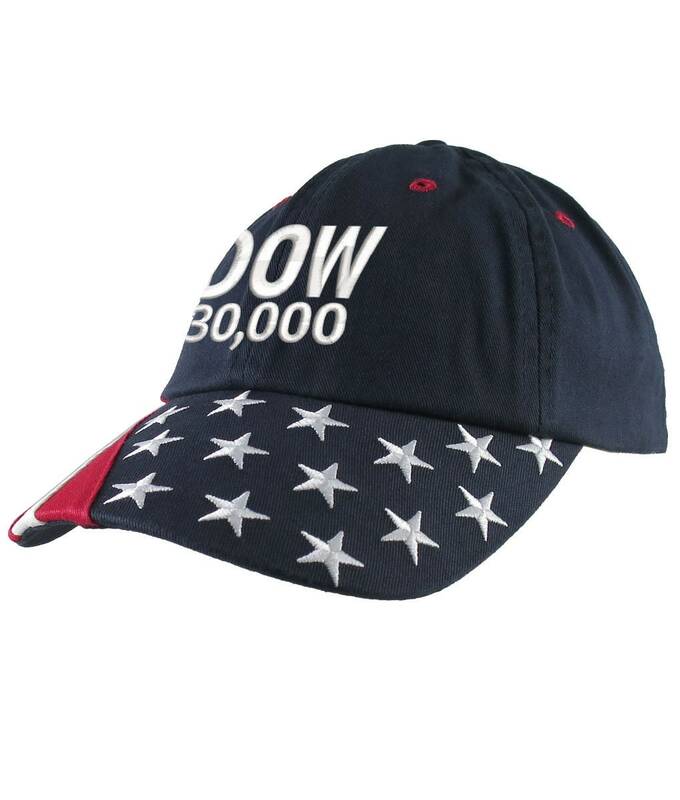 A "DOW 30,000" embroidery design; embroidered on a navy blue, adjustable, unstructured, trimmed with stars and stripes baseball cap. 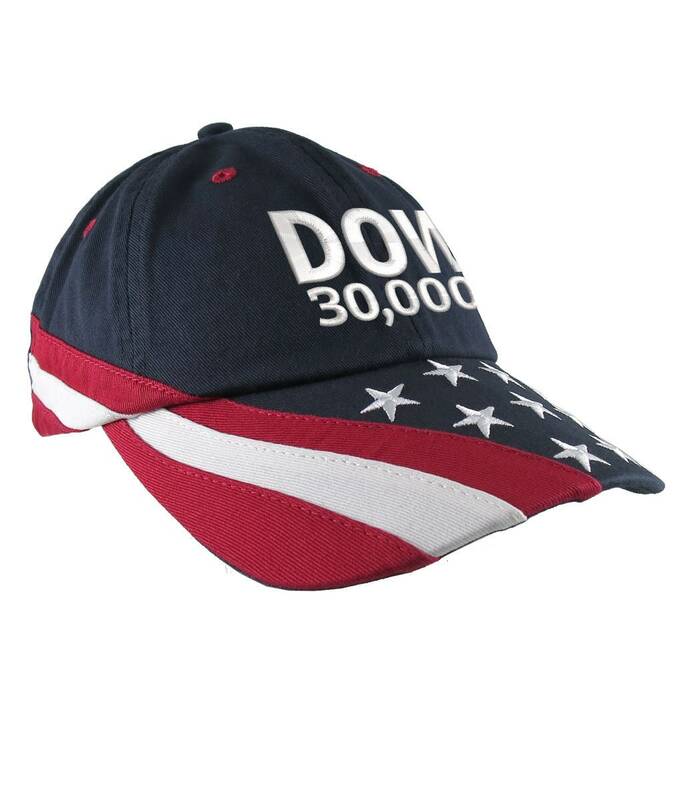 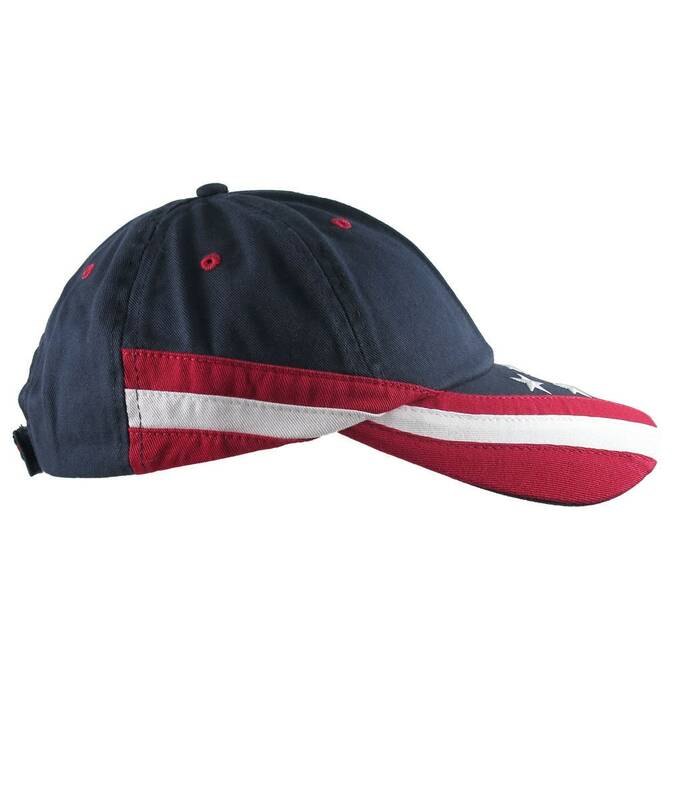 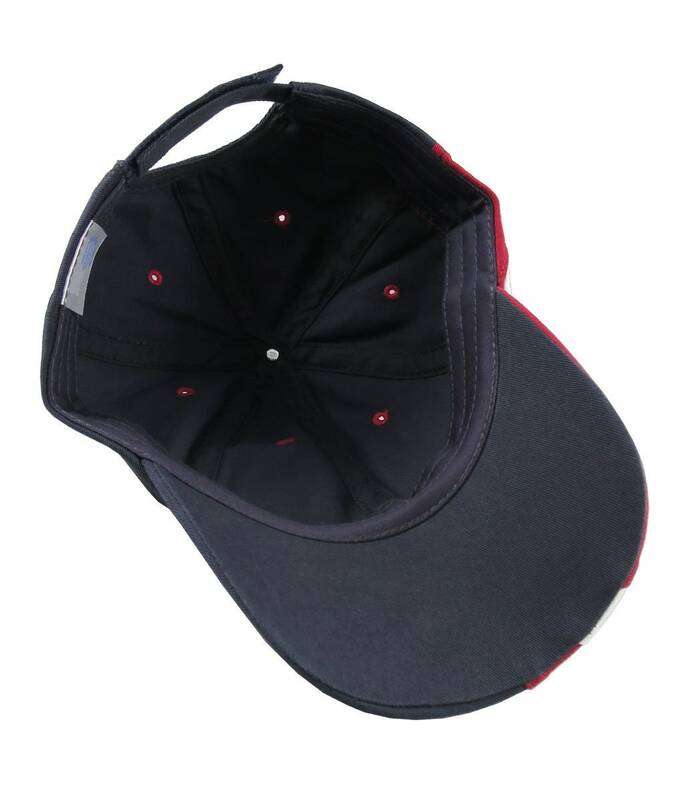 It is a sturdy and comfy hat and a winning candidate for everyday wear as well as for making a fashion statement on, or off the trading floor. 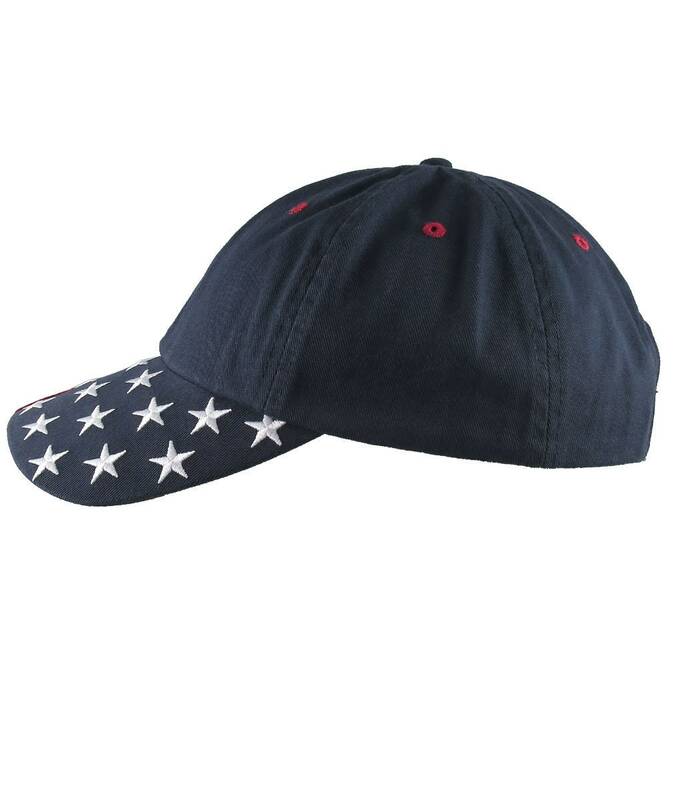 This design is also available on a wide selection of hat styles; contact us with a preferred model/color/make/style request. 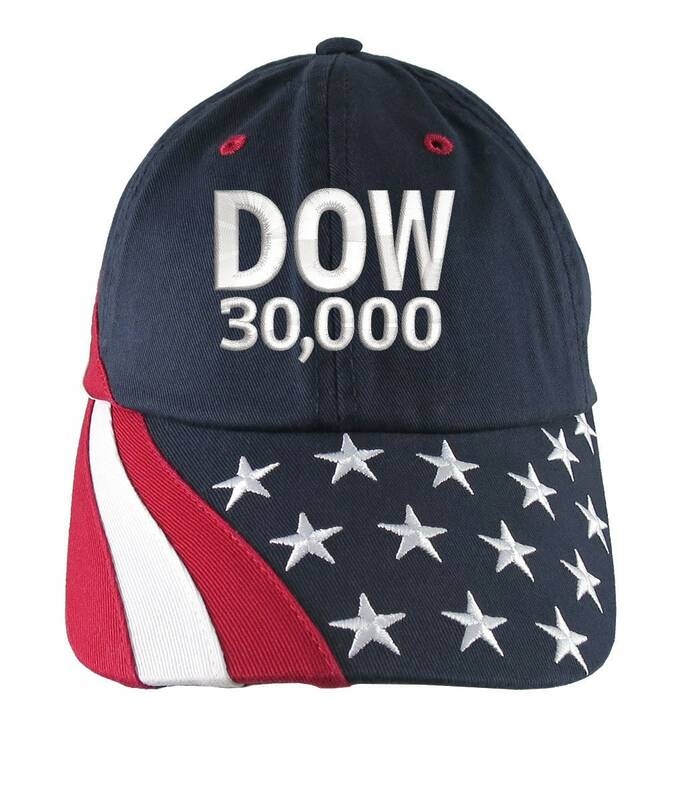 And the 30,000 number or the index can be anyone that would suit you. 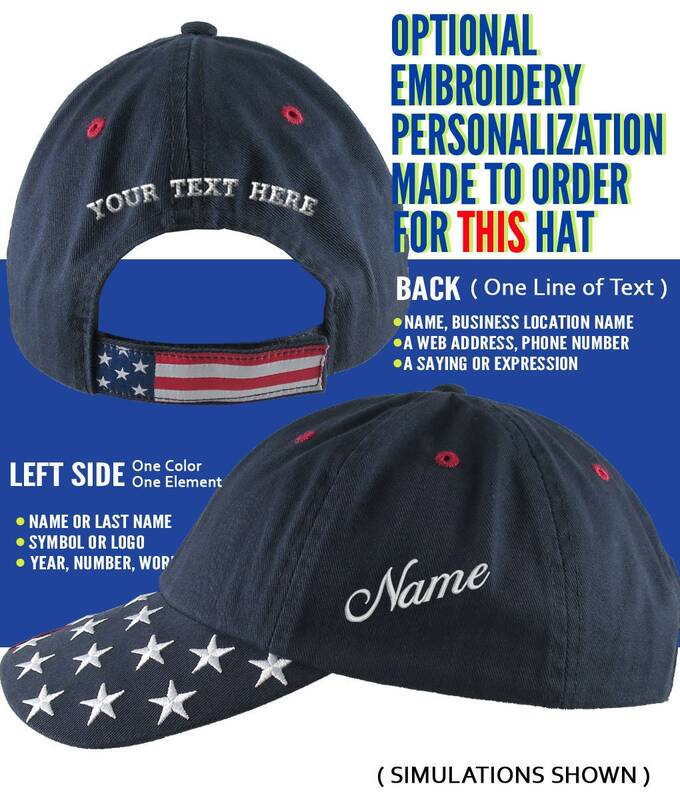 Just make a custom order request.